Some of the biggest digital businesses in Cornwall have unveiled a new partnership to nurture talented developers and to attract new skilled workers to the region. Allen and Heath, Absolute Software and Nixon Design are among a number of firms working with Cornwall College and dBs Code to develop a range of new courses to meet their needs for future growth. The project is being spearheaded by Software Cornwall, a collective of businesses who are trying to raise the profile of the digital industry in the Duchy. 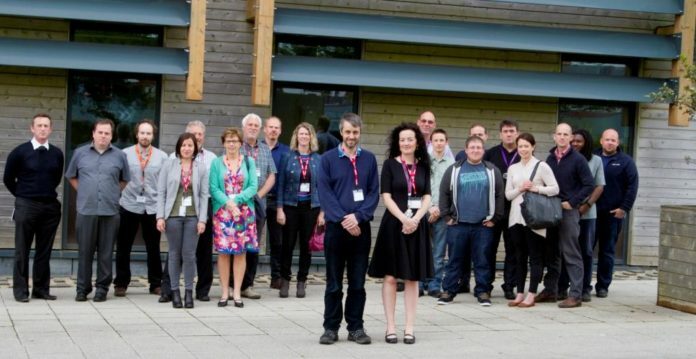 Paul Massey, a director at Absolute Software and a member of Software Cornwall, said: “The main purpose is to involve more businesses and employers in the strategic objectives of nurturing and attracting talent to Cornwall. We can build an attractive digital sector, building on our reputation for innovation. “The sector is growing from strength to strength and sheer width and breadth of the businesses involved demonstrates that we are all looking to invest in recruiting the best people. According to official figures, Cornwall’s creative industries have a combined annual turnover of more than £250 million. With the roll out of superfast broadband and improvements to the communication infrastructure, businesses in Cornwall can now serve clients nationally and globally. Miriam Venner, head of dBs Code at Cornwall College Camborne, added: “It’s really important that we have identified that gap in the sector and it’s how we fill this gap, but not from a top down perspective but engaging with businesses, identifying their needs.